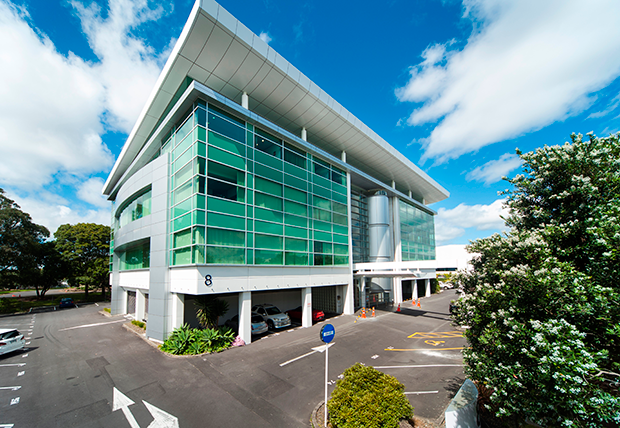 Auckland, 22 November 2014 - ​At a time when suburban Auckland office vacancy rates continue their downward trajectory, a high quality, modern four-level commercial building offering significant future flexibility for investors or owner occupiers has come up for sale at 8 Rockridge Avenue in Penrose, Auckland. Marketed by Jonathan Ogg and Bruce Catley of CBRE on behalf of DNZ Property Fund, the freehold property is for sale by deadline private treaty closing Friday 5 December at 4pm unless sold prior. Jonathan Ogg, Senior Director Capital Markets at CBRE, says that the property’s attributes are many. 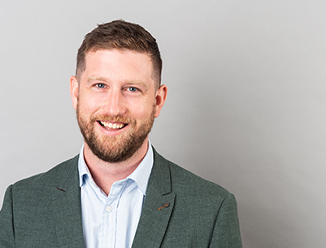 “The vendor’s price expectations are currently below replacement cost, which provides considerable future value add prospects for the purchaser, and the building has an A Grade seismic rating, assessed at 90% of New Building Standard (NBS). The site provides 130 car parks and is in close proximity to a range of transport options. Occupying a large 4,900sqm site, the property enjoys approximately 90sqm of frontage to Rockridge Avenue. Built by Fletcher Construction and completed in 1997, the four-level commercial building offers a total net lettable area of 3,149.3sqm. 28 secure car parks are provided on the ground floor within the building footprint, and further parking for 102 cars brings the total to 130 car parks on site. Bruce Catley, Managing Director South Auckland for CBRE, says that the current owners have invested in the quality of the building’s fit out. “The sleek architecture of the building and excellent stud height, including its atrium, is complemented by the existing fit out, raised flooring and up to date building services. The property provides total net annual income of $292,014.40 through leases to The Fletcher Construction Company, Matrix Security and Advance Retail Technology Limited. Advance Retail Technology Limited is a member of 3Q Holdings Group of Companies, an Australian-based software and services company focusing on the retail industry. Matrix Security Limited is an established New Zealand-owned and operated security company that has been trading since 1993. It has bases throughout New Zealand and employs over 250 people. The Fletcher Construction Company Limited is part of the Fletcher Group, which is one of Australasia’s most respected public companies, with significant resources to invest in technology and new businesses. They employ approximately 18,600 people in more than 50 businesses. Located on the southern side of the quiet street that is Rockridge Avenue, the property is approximately 150 metres from the intersection of O’Rorke Road, providing excellent access to the local arterial Church Road and Station Road. Catley says: “Great South Road is close by, offering further amenity and a major arterial route through to the city, and motorway access is also provided nearby to Southern, Northern and Western Motorways. Ogg says that suburban office vacancy rates have been trending downwards since the first half of 2011 and have fallen in six of the last seven surveys carried out by CBRE Research. “As of mid-2014, suburban office vacancy in Auckland was 9.2%, equating to around 148,000sqm of office floor area. These figures reflect the strength of the suburban office market, as over this time some 79,000sqm of office space has been added to the market. Catley adds that net effective rentals have been rising since 2011, consistent with the decline in vacancy, reflecting a shifting emphasis to growth in face rentals.